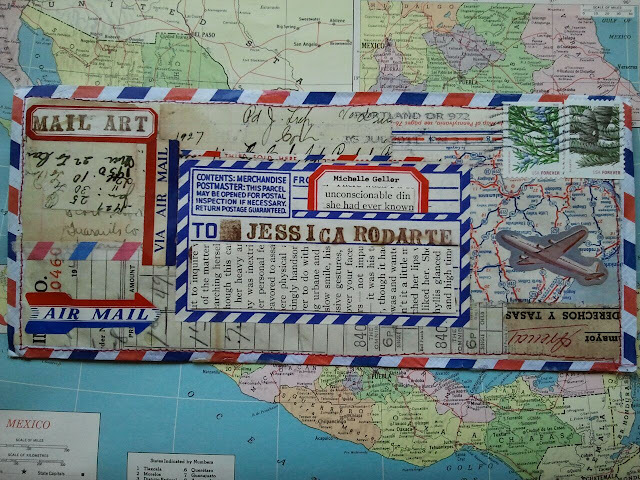 I'm excited to share the pretty envelope that Michelle made for me for our Air Mail Art Swap. 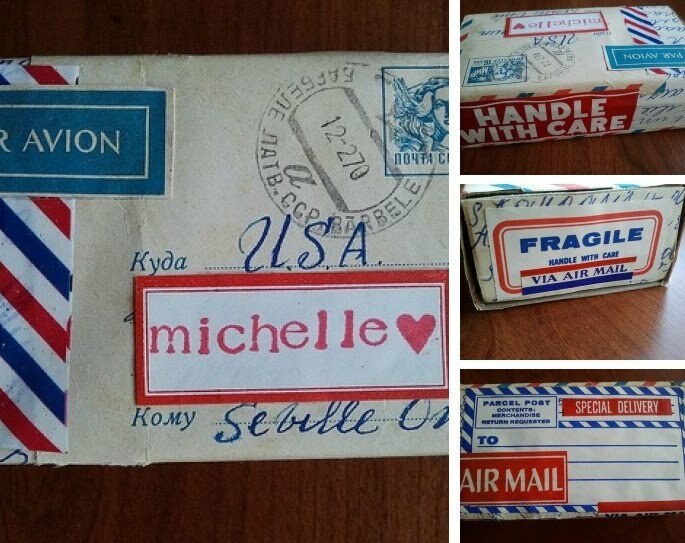 When Michelle posted pictures of her air mail collection, I stared at the pictures over and over. She has such a great collection. 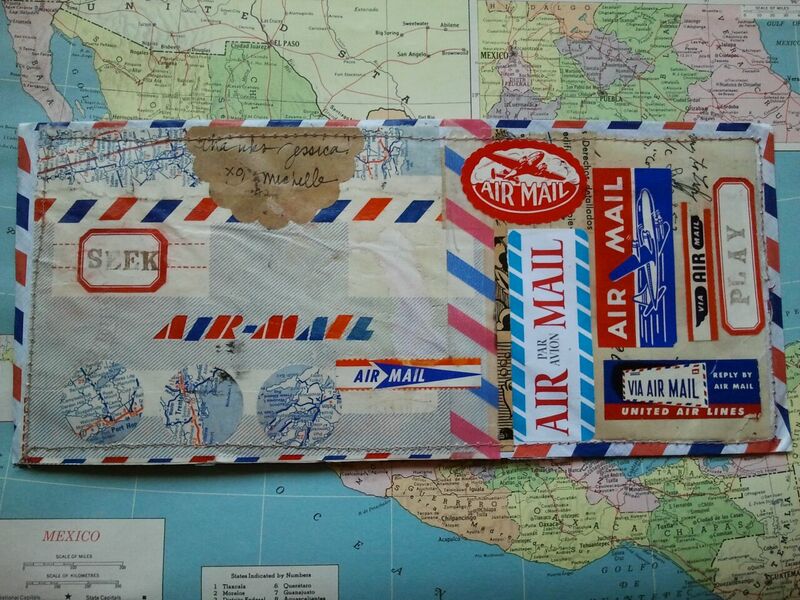 I have a bunch of vintage air mail envelopes with their original letters, a few labels, and that's about it. I'm keeping my eyes peeled to see if I can find more airmail goodies after doing this swap. 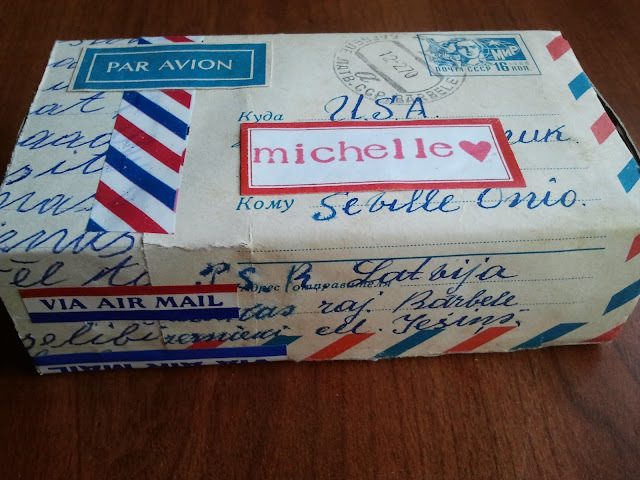 I had made Michelle this box first, but when I accepted that it was lost (it was taking too long), I made her another one. Then when it made its way to her, I already had another one made for her, so she got two of a very similar box. This is the box from other angles: There's something about that red, white, and blue color scheme that gets me. See more petite inspiration boxes (they're matchboxes!) here. fabulous swap! So very inspiring I must get my bum in gear and finish sorting out that little swap with you... I'm finally getting organized with school back in session. You had an awesome swap with Michelle! And thank you for mentioning the Floozie swap below! I never have trouble commenting on blogs but I hear alot of people out in blogland talking about that problem on many blogs...I think it's a Blogger issue. Enough with the mail swap, its just tooo cute, and its killing me to not be a part of it.